We finally had a week that was more befitting for British summertime, where it was actually more like summer than winter. 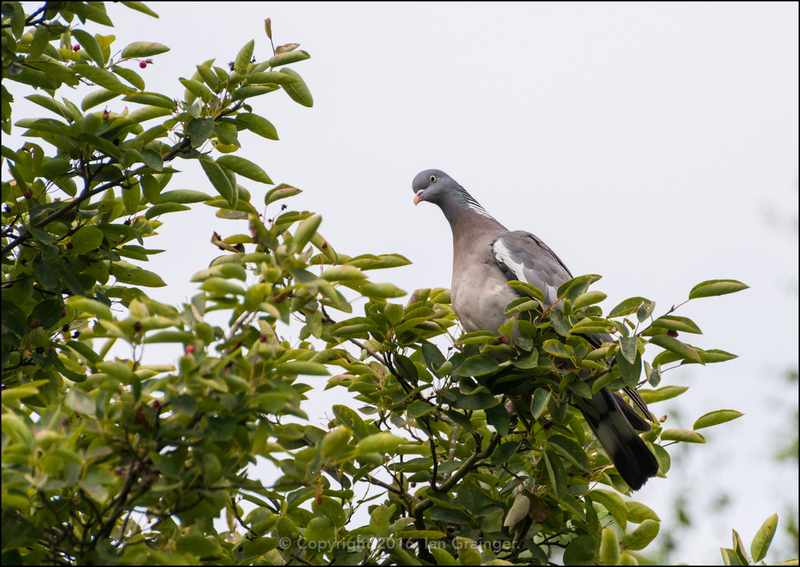 The warm sunshine brought with it a plethora of flora and fauna activity, which I'll give you a peek of in this week's article. 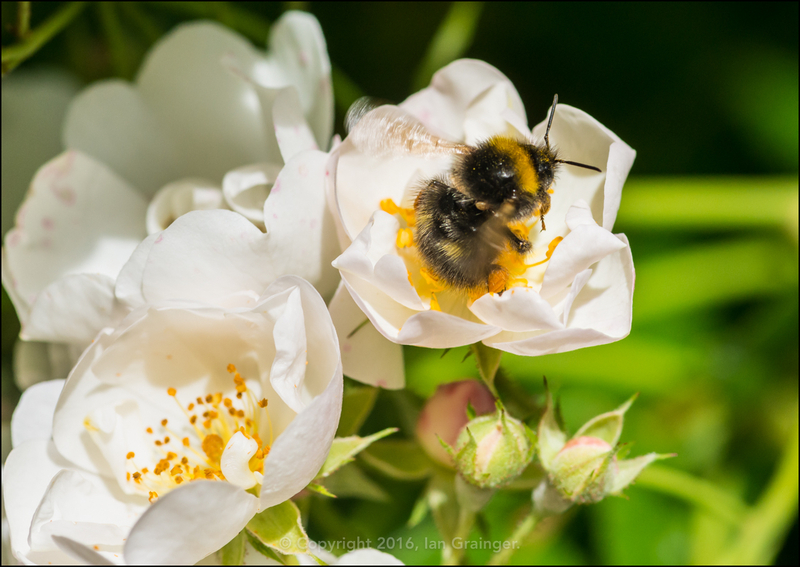 First off, the Bumblebees (Bombus) were out in force, and were particularly enamoured with the Wild Roses growing in my dad's garden. 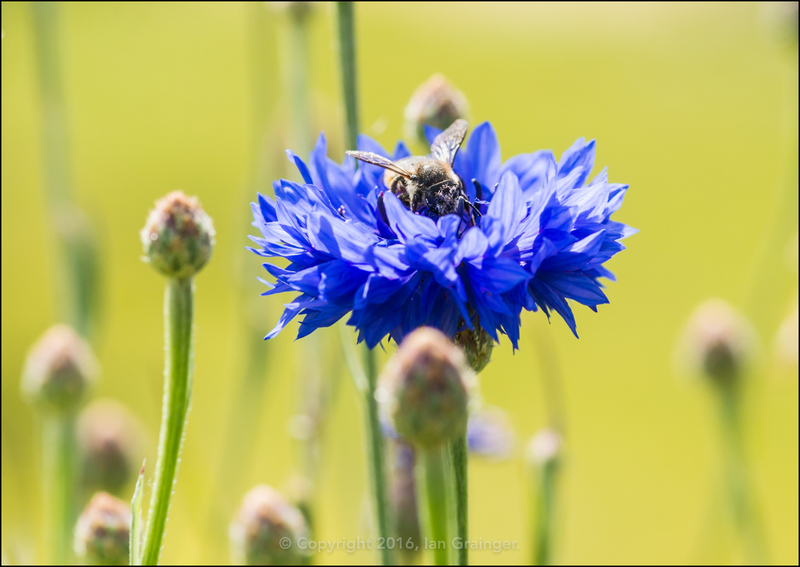 This one had decided to take a climb inside one of the flowers, to explore the pollen filled centre. 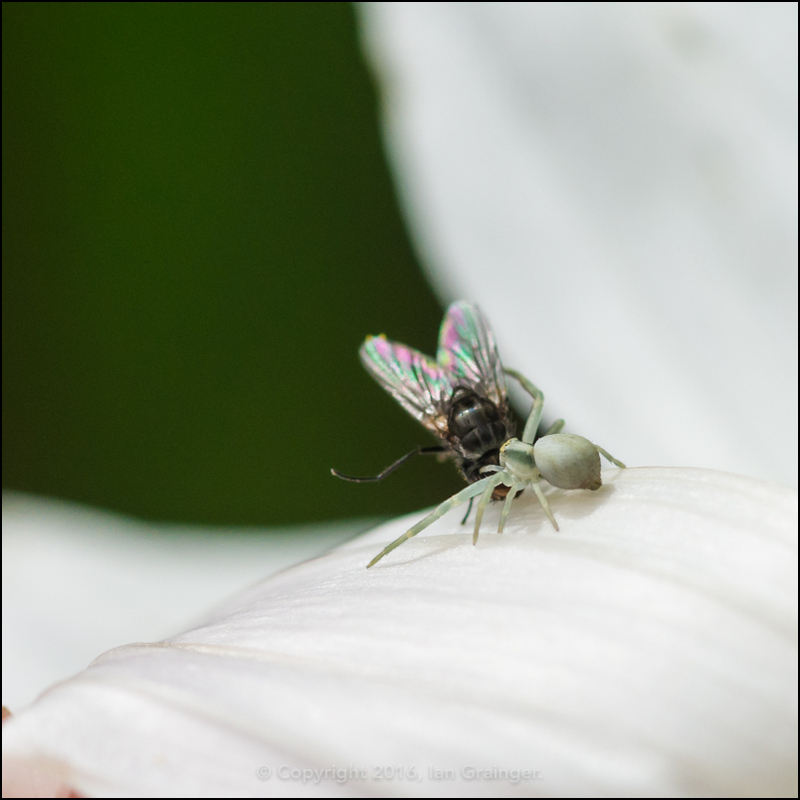 There were also lots and lots of these tiny assassins about! 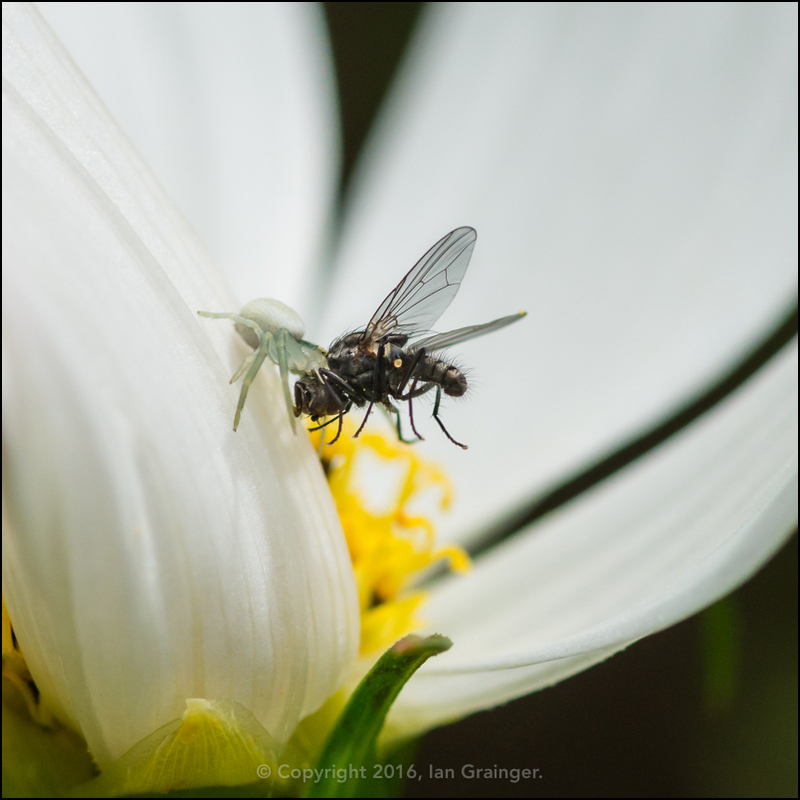 The Crab Spider (Misumena vatia) will take on prey twice or even three times its size. 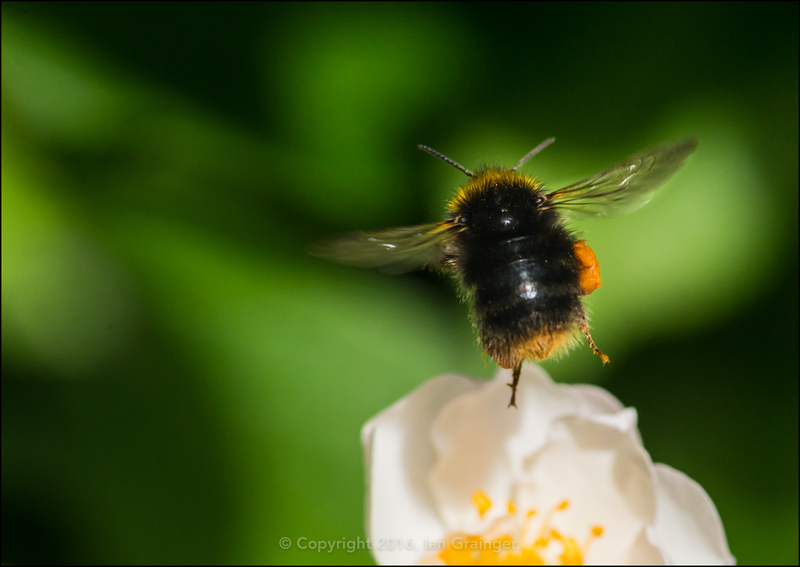 This one was carrying its lunch off to a quieter spot, out of the reach of the nosy photographers lens. 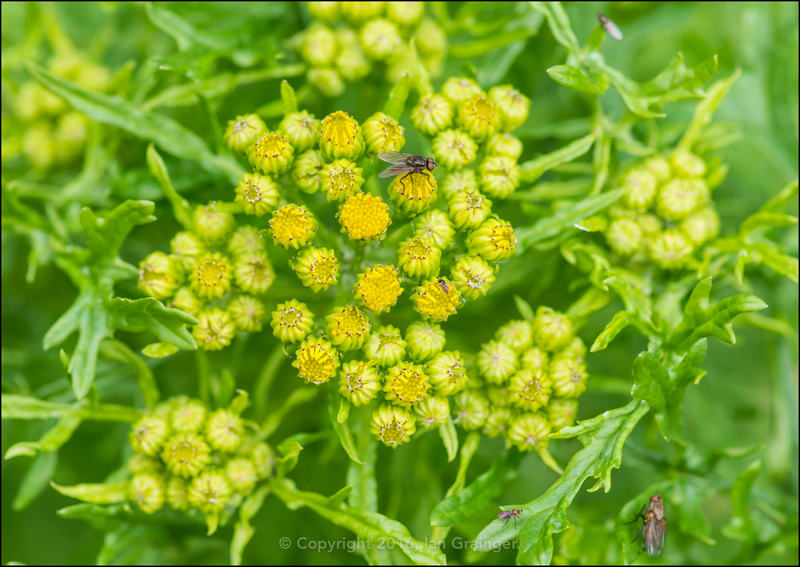 ...as well as a plethora of Diptera hanging about on the Ragwort (Senecio) flower buds. 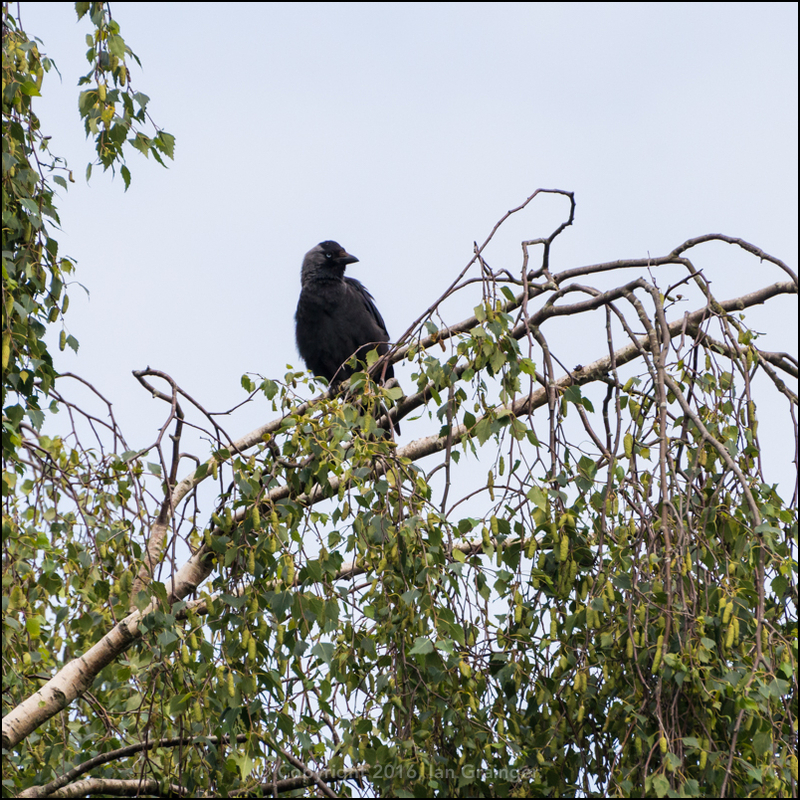 ...and this juvenile Jackdaw (Corvus monedula) getting the lay of the land. 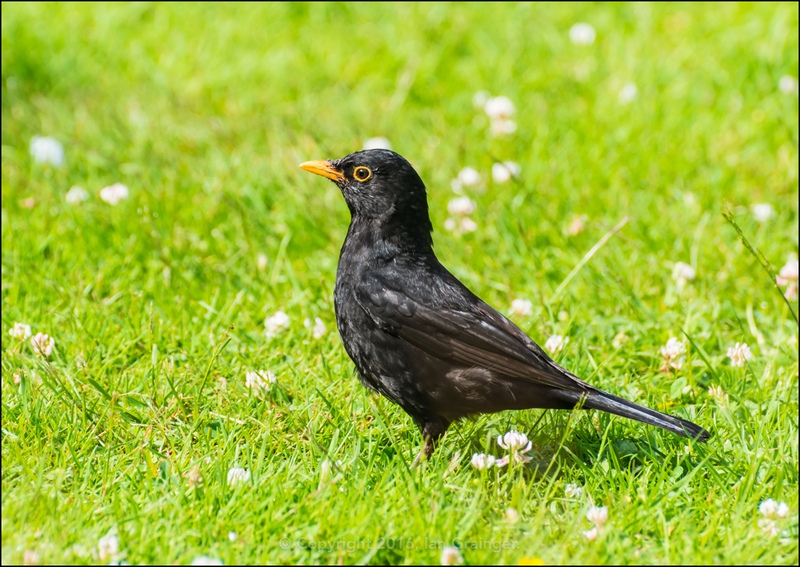 Meanwhile a smart looking male Blackbird (Turdus merula) hopped around the lawn, looking for food. It was nice to see the Hydrangeas coming into bloom. 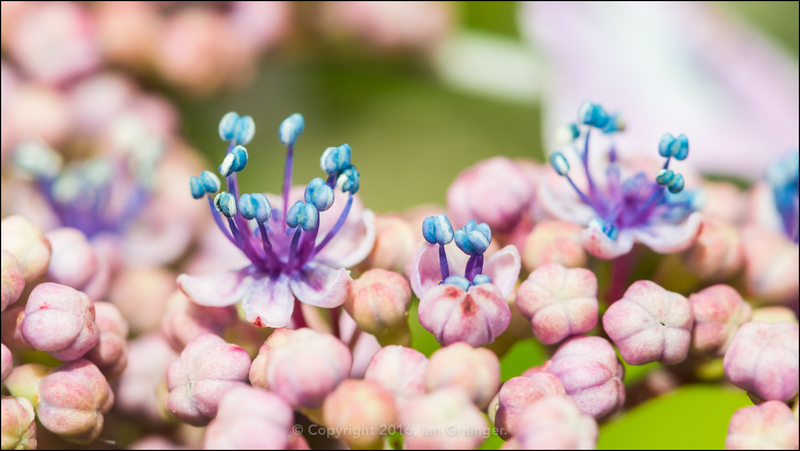 These little things are actually the tiny flowers. 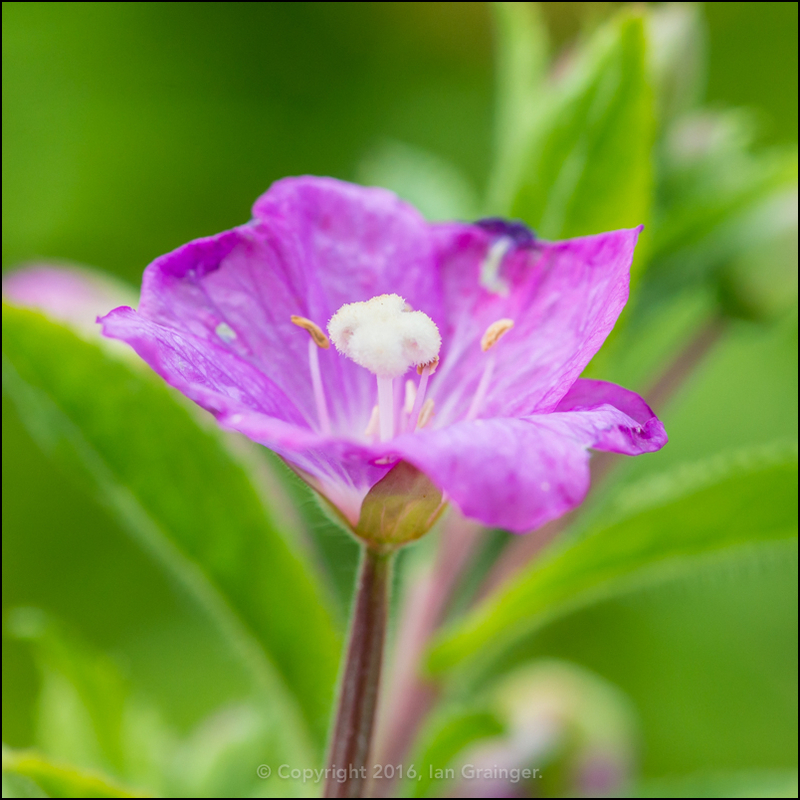 The Great Willowherb (Epilobium hirsutum) had self seeded from last year, and was beginning to show its lovely magenta coloured flowers. 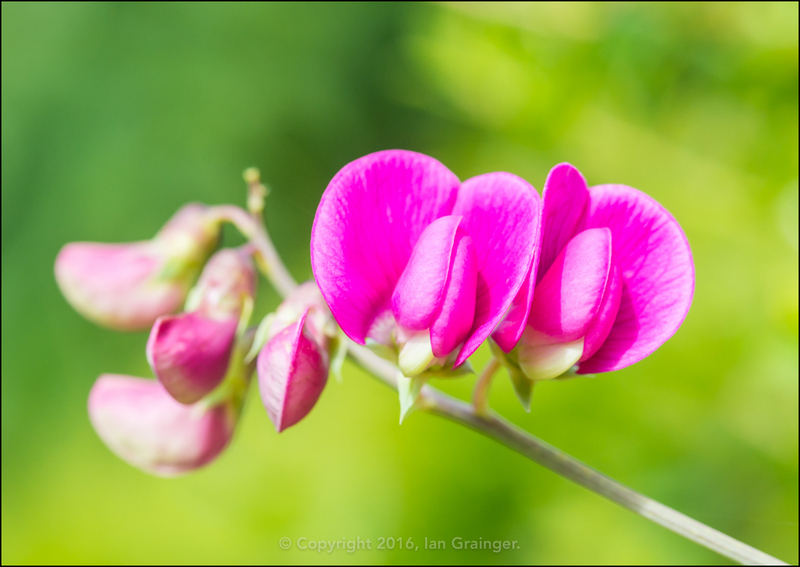 Another magenta coloured bloom that had self seeded was this Sweet Pea (Lathyrus odoratus). 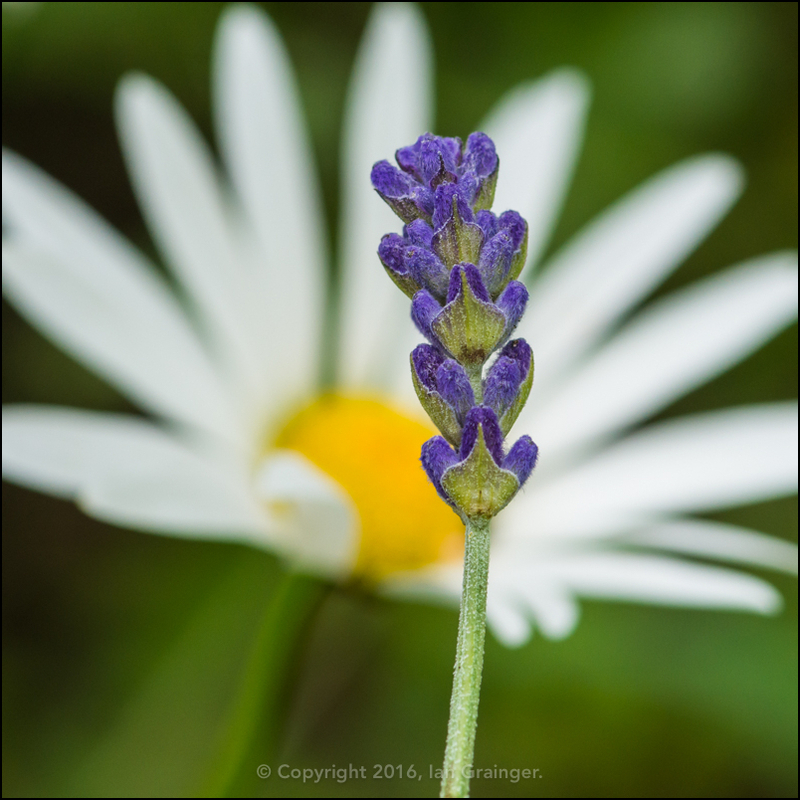 I always find it funny how groups of flowers of the same colour always seem to come into bloom at the same time. 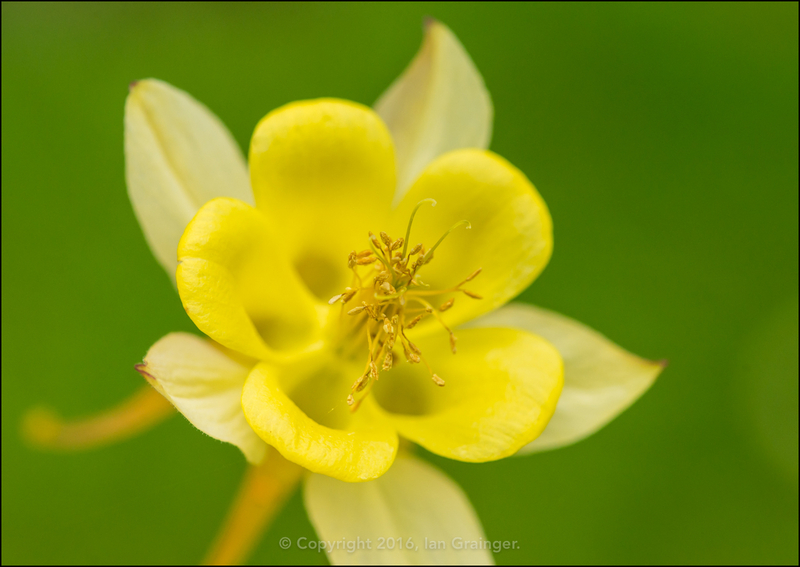 Dad's Aquilegia were still going strong, while my only specimen had already been cut back, and I had my fingers crossed that it would return next year. 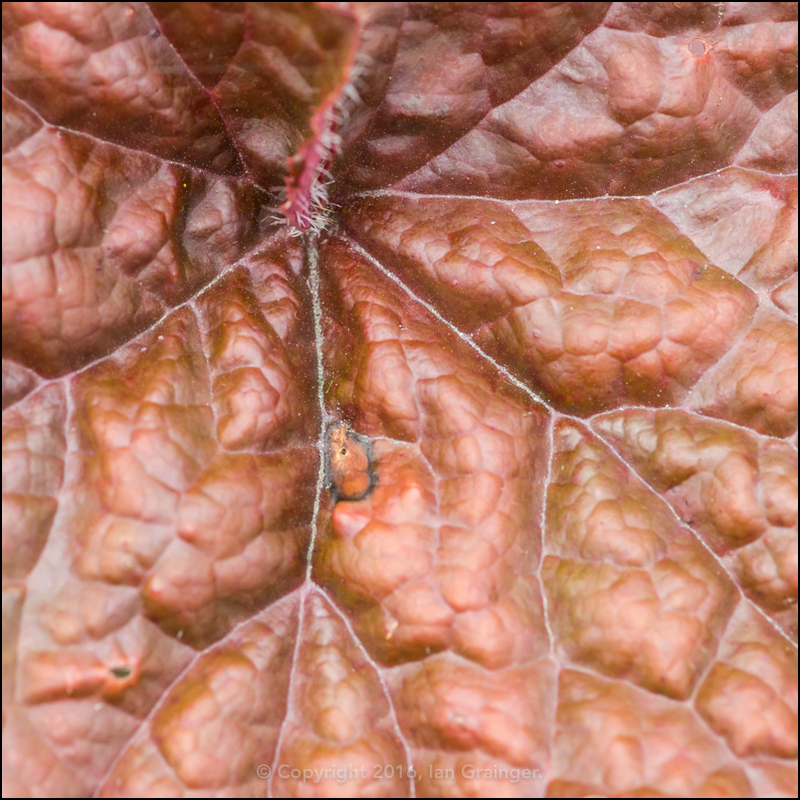 ...while the Heuchera was putting on a marvellous display of its wonderfully coloured foliage. Over in my garden this week, things were coming along quickly. 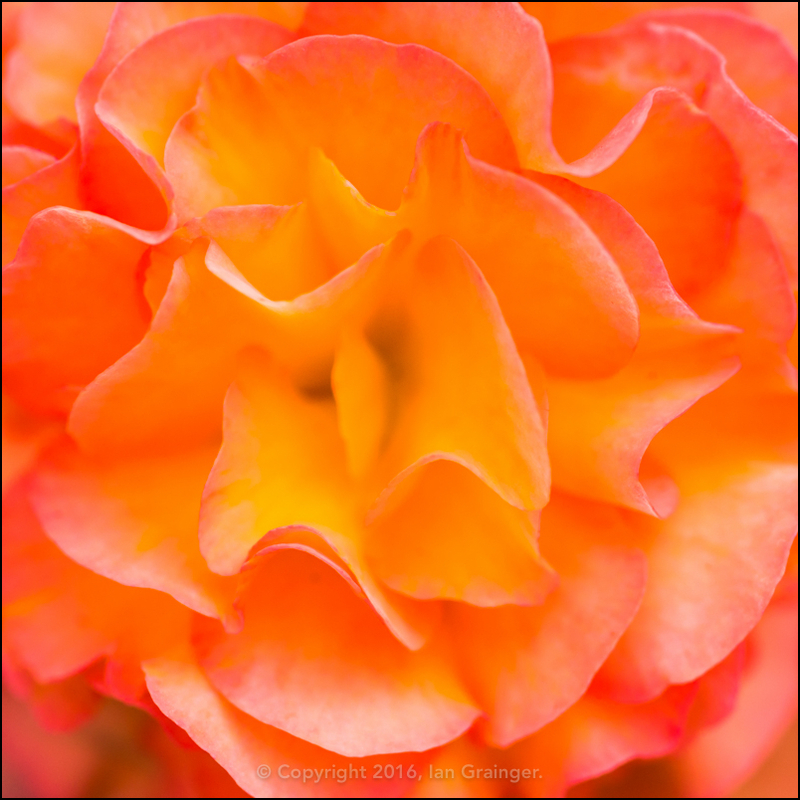 My Begonias had started to flower, and this variety Illumination was certainly living up to its name. 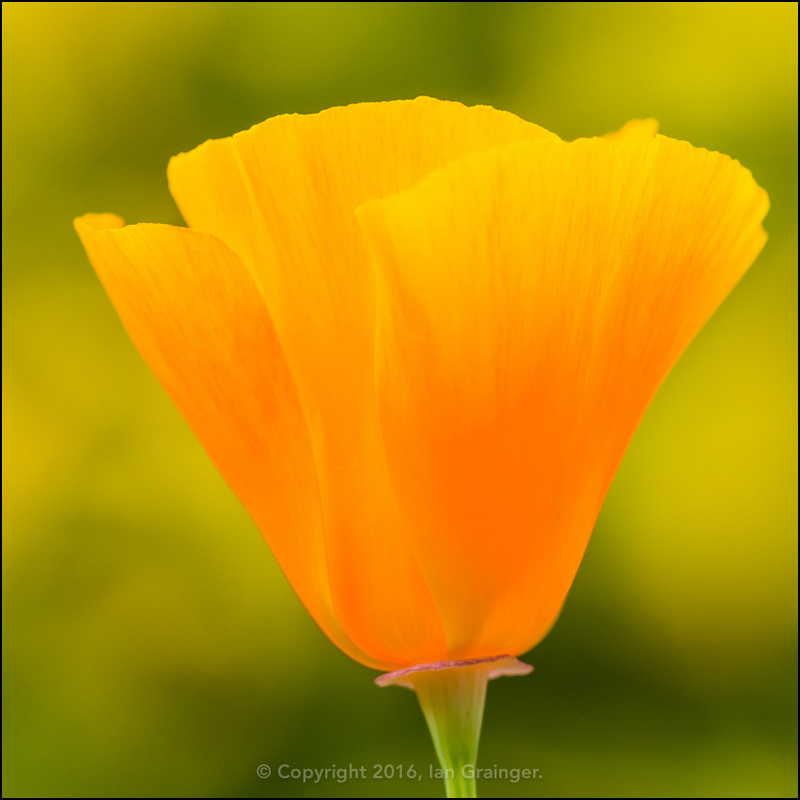 The self-seeded California Poppies (Eschscholzia californica) were also putting on a magnificent, bright, colourful display. 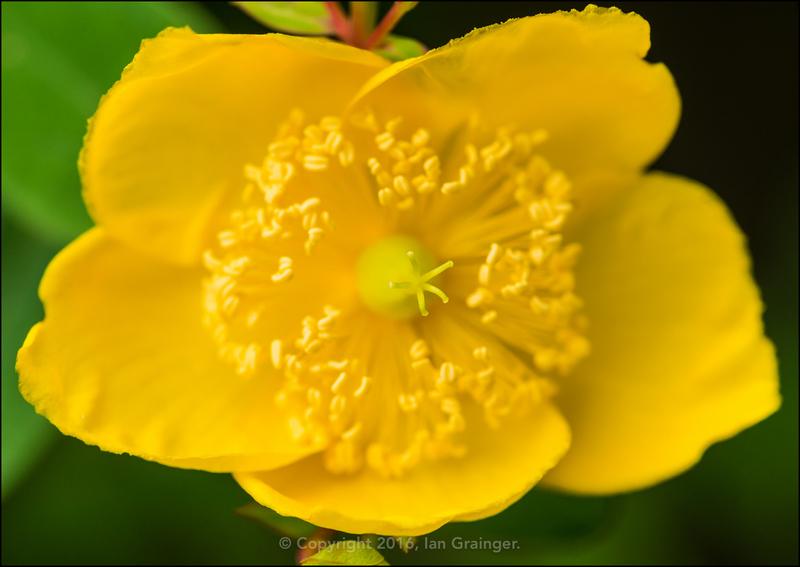 My Hypericum bush was also doing its best to brighten up an otherwise dull spot in my garden. 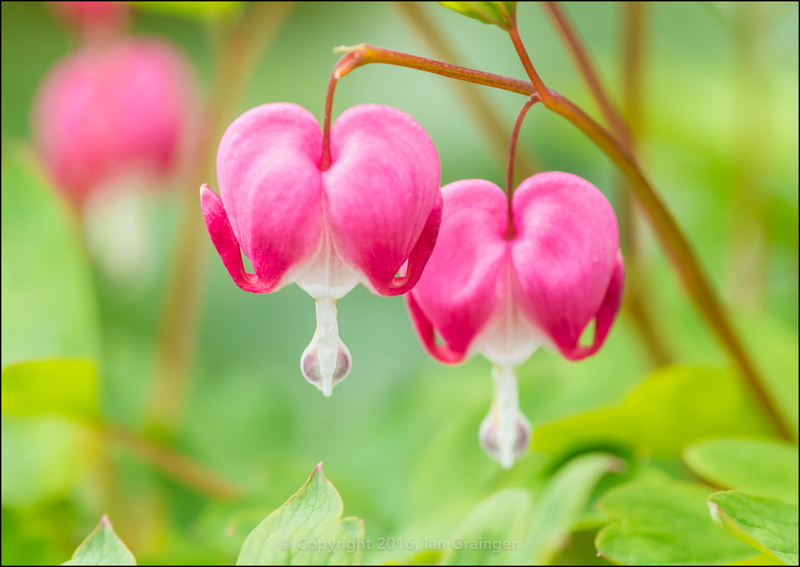 Although my Bleeding Heart (Dicentra) plant had already flowered in mid spring, I'd cut it back, and had managed to get a second flush of flowers from it. 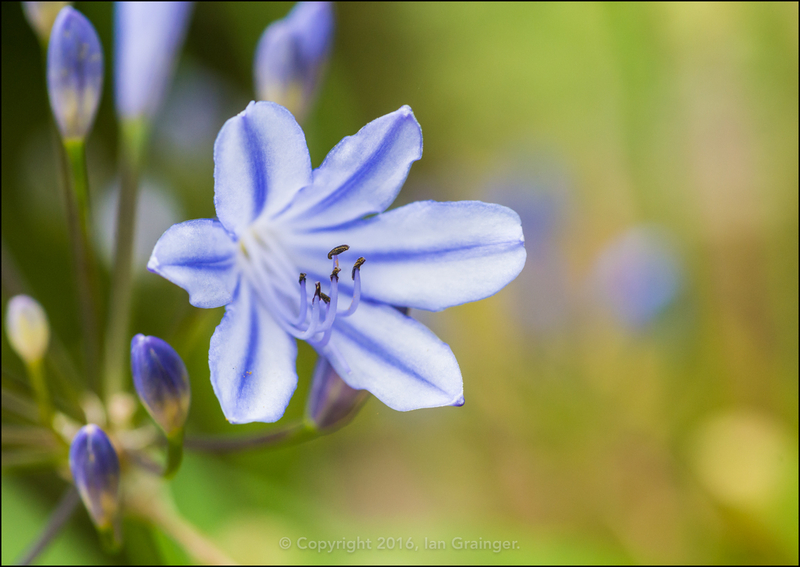 Although I only had one of my Agapanthus plants producing flowers, it was making a good job of it, and had twelve flower stalks at the time of writing. 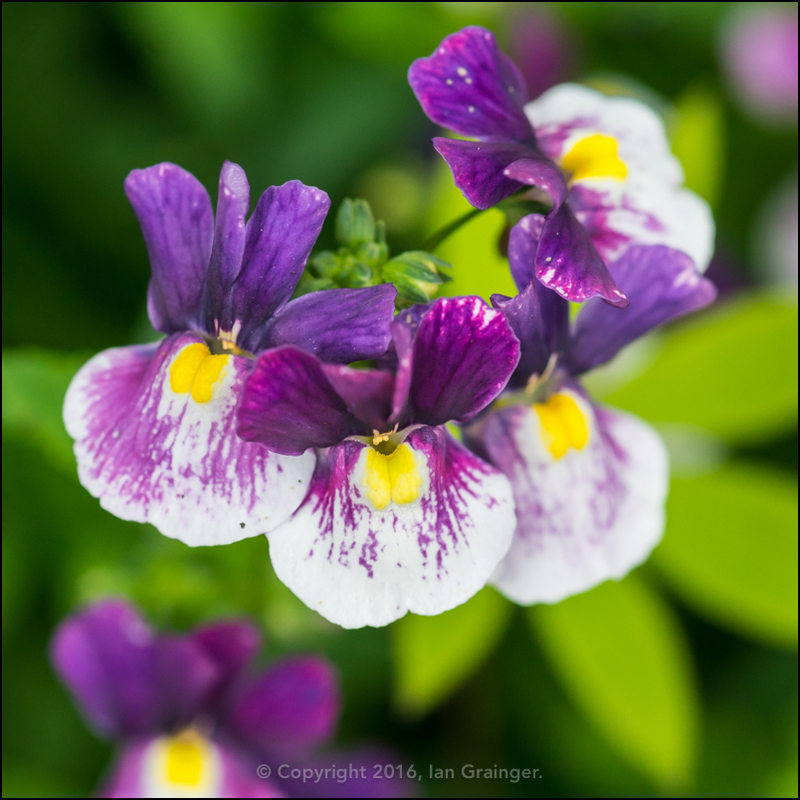 My Nemesia was also looking quite stunning in a new border I'd recently added into the garden. 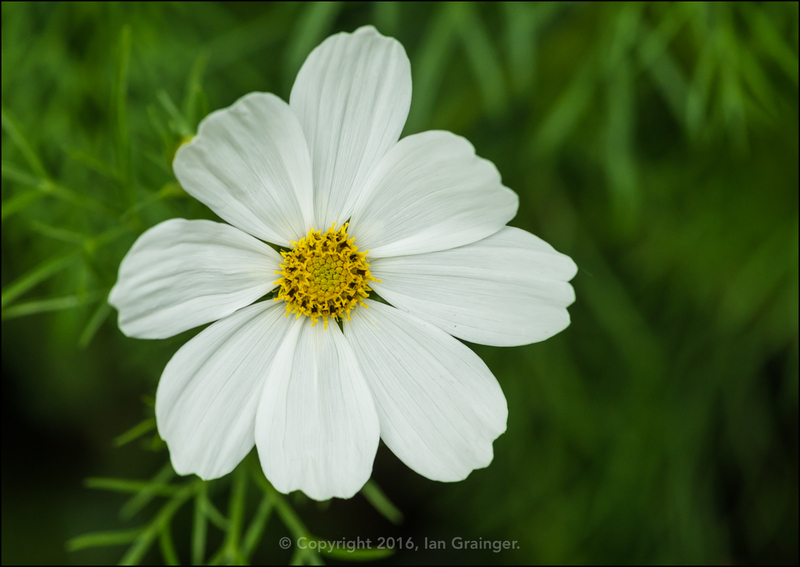 I'd grown my Cosmos plants from seed this year, and was pleased to see how they'd developed from tiny seedlings into plants that were nearly three feet high. 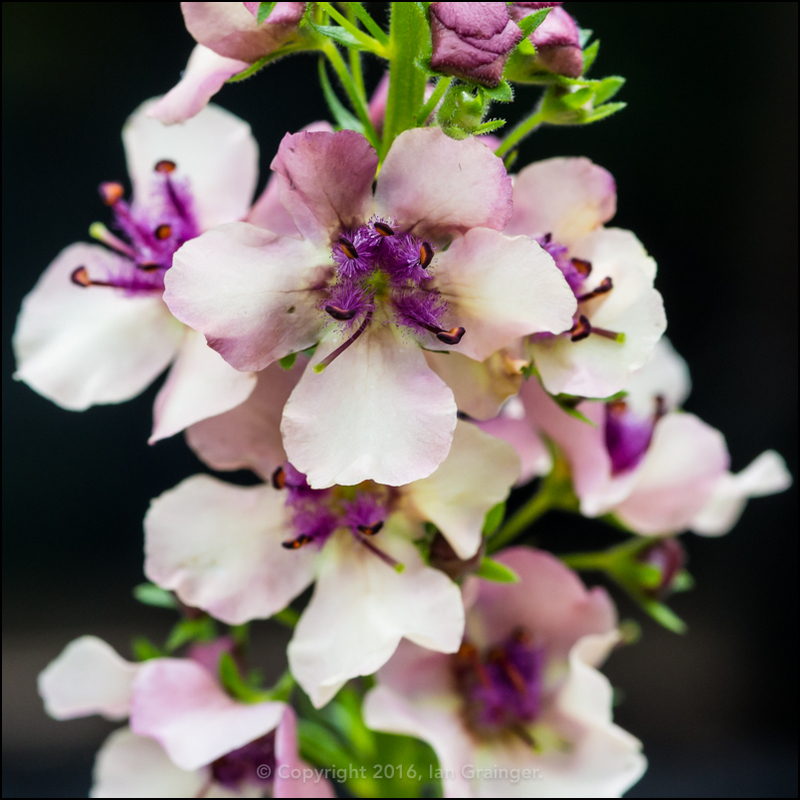 Another tall plant was this Verbascum, which I'd thought I'd lost in the storms a week or so ago, but which was now looking rather beautiful. This is variety Southern Charm. 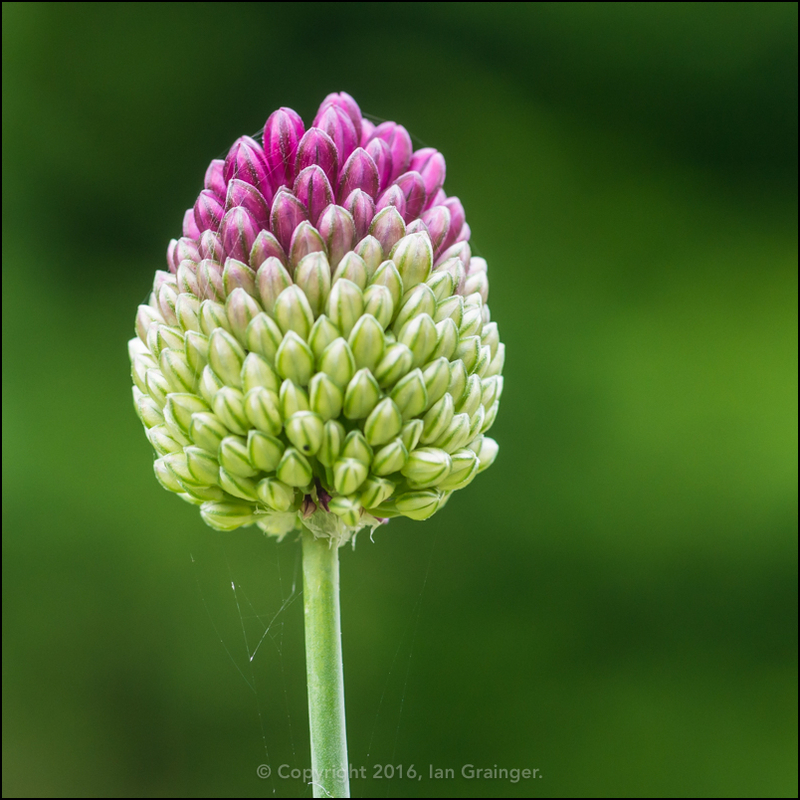 Yet another tall plant that I've waited absolutely ages to develop is this Allium. It was finally starting to get some colour, and hopefully next week, will be completely purple. 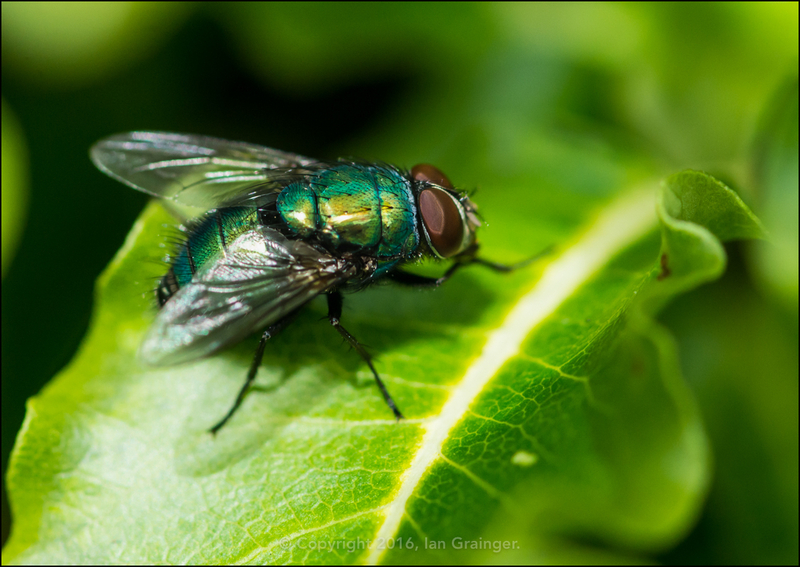 Did any of this bother my photographic friend? Of course not! 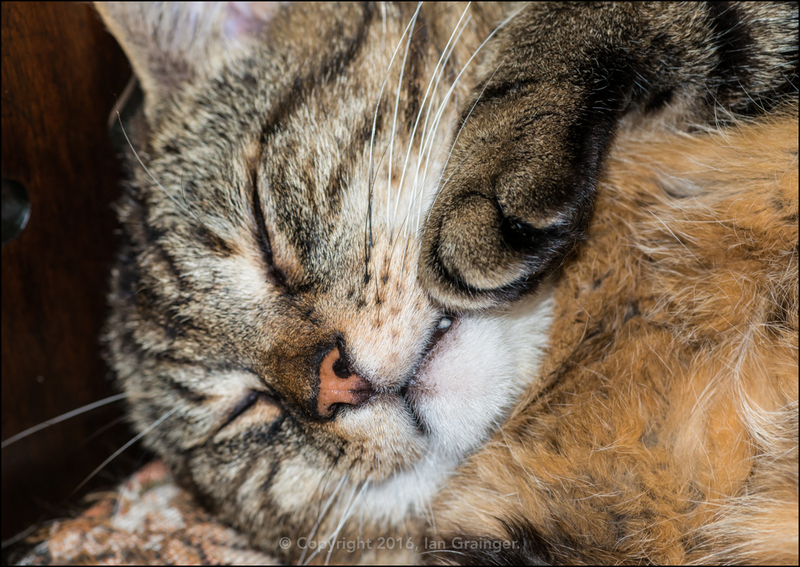 He spent the entire day asleep on the chair during my photo shoot this week.